The best event to catch dazzling fireworks set to a specially commissioned orchestral music score is Singapore's annual New Year's Eve celebration presented by the Urban Redevelopment Authority and Esplanade - Theatres on the Bay. There will be high-energy musical performances at Esplanade's outdoor theatre starting from 7pm. At the Marina Waterfront Bazaar, which opens at 3pm, party novelties, light gadgets, artisanal items, clothing and snacks will be on sale. 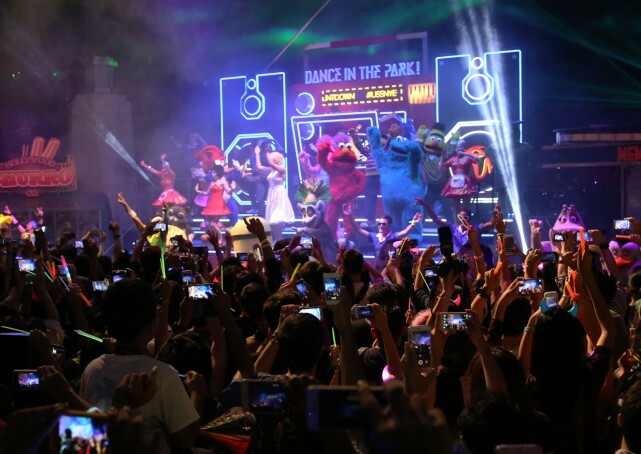 The biggest New Year's Eve celebration in Singapore takes place in the Marina Bay area. It is reported to be attended by over a quarter of a million people each year, with many travelling from every corner of the globe to be part of the experience. 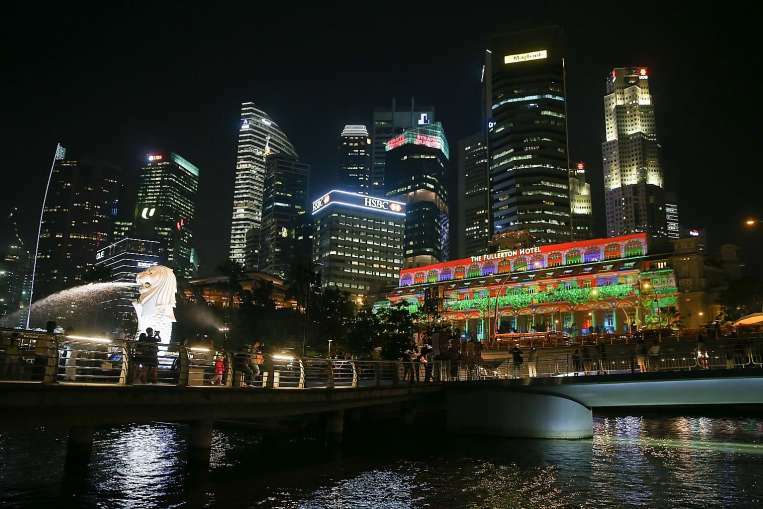 The new years party takes place all around the bay area, starting from the Marina Bay floating Stadium to the Esplanade promenade, the Esplanade Bridge, Benjamin Sheares Bridge, Merlion Park, and the Padang at City Hall facing the Marina Bay. The celebrations are also visible from nearby hotels such as The Fullerton Hotel, Marina Mandarin, The Ritz-Carlton Millenia, Marina Bay Sands, where you can also get a fantastic panoramic view of the fireworks at midnight. 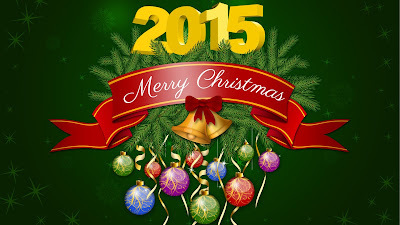 The New Year’s Eve 2016 marks the end of the old year 2015 and the beginning of a New Year. 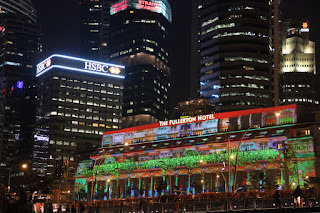 The celebration gains a whole new level in Singapore – a land known for its colorful inheritance. 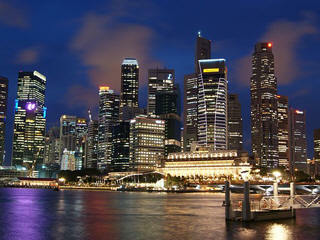 Singapore welcomes the New Years Eve with extravagance celebration. The entire land is lighted up with lights, fireworks ,parties, live show yet there are some popular locations which remains overcrowded throughout the celebration period. 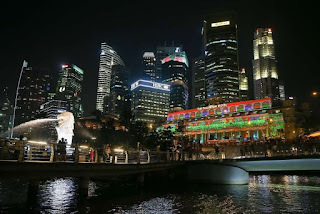 The Esplanade Bridge, Merlion Park, Benjamin Sheer Bridge, Marina Bay and Pandang are some of the popular destinations on New Years Eve 2016 in Singapore country. The NYE celebration encompasses almost every hotel, restaurant, non commercial and commercial building of the city. Singapore Flyer is possible the best location from where you can witness the entire celebration. The governing body and the local bodies plays a vital role in organizing all the live shows. The local organizers makes every attempts to transform the land marks into a magical atmosphere. Almost every corner of the city has concerts and live performance throughout the night and hours after that. The final countdown begins during the last minute prior to midnight. Once the clock struck midnight the entire nation welcomes the New Year with fireworks, applaud and celebration. 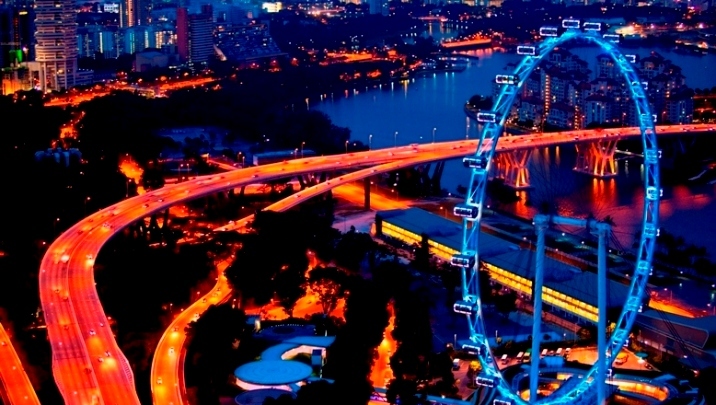 If you are someone who love viewing fireworks then Marina Bay can be your ultimate location. You can experience the finest firework show right in Marina Bay that create a wonderful scene on the horizon of Singapore. About 300,000 people are estimated to turn up for Countdown 2016 at Marina Bay, where there will be an eight-minute fireworks display happening for the first time over the entire stretch. "Last year, we had the fireworks in the middle of the Bay concentrated in one location. This year, we have a carpet of fireworks firing points all across the Bay," said Mr Joseph Tan, head of Programme Management (Music and Planning) at Esplanade - Theatres on the Bay. The fireworks will reflect off 20,000 wishing spheres with lighting effects that display patterns in sync with the fireworks and music. The spheres are part of the Wish Upon a Sphere project that collected more than 500,000 wishes by the public for Singapore over three months. Singapore's 50th anniversary year is set to end with a bang - in fact, thousands of them. The 2016 New Year countdown will feature an eight-minute fireworks extravaganza that will span the length of Marina Bay. Nearly 4,000 fireworks will be launched into the night sky - almost twice last year's number - from 35 locations on the water. "We want everybody gathering around the bay to have a good view of this spectacular display," said Urban Redevelopment Authority (URA) director for place management Jason Chen. As 2015 comes to a close, The New Paper looks back at the top stories from our pages this year, and offers a glimpse behind the scenes. Raini Hamdi picks some of the highlights of the year, as duly and diligently reported by TTG Asia and TTG Online network of reporters in the region. 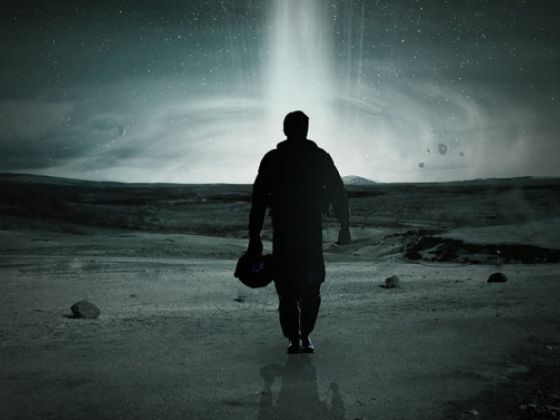 The movies that were the most pirated in 2015 may not come as much surprise-but how much they got pirated is sure to shock. Some of the biggest blockbusters at the box office this year proved just as popular among torrent users: Furious 7, Avengers: Age of Ultron and Jurassic World were the top three worldwide, according to piracy tracking firm Excipio, which monitored activity from the beginning of the year through Dec 25. When movies from 2014 are included in the tally, Interstellar was the most downloaded film of 2015, owing to the fact popular movies from the previous year spend more cumulative time in circulation among pirates. The same was true last year when the 2013 movie Wolf of Wall Street led the pack in 2014. 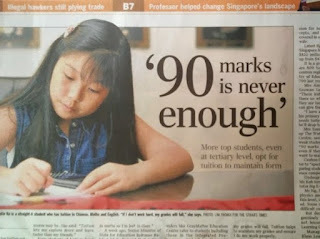 Singaporeans can be tough nuts to crack. For the flummoxed, we’ve drawn up a list to shed light on some of our eccentricities. Many people fear the word cancer, but it is becoming a common disease in Singapore. According to the Singapore Cancer Society, approximately 1 in 3 Singaporeans die of cancer each year. How can I reduce my risks of stomach cancer? What are the health risks associated with secondhand smoke? Is there a link between nutrition and cancer? 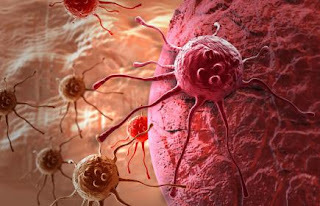 Link between nutrition and cancer? 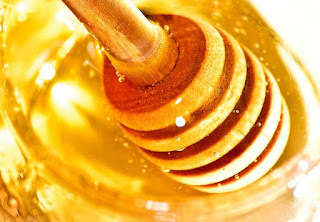 Honey is truly a remarkable substance, made even more extraordinary by the process with which it is made. This blend of sugar, trace enzymes, minerals, vitamins, and amino acids is quite unlike any other sweetener on the planet. 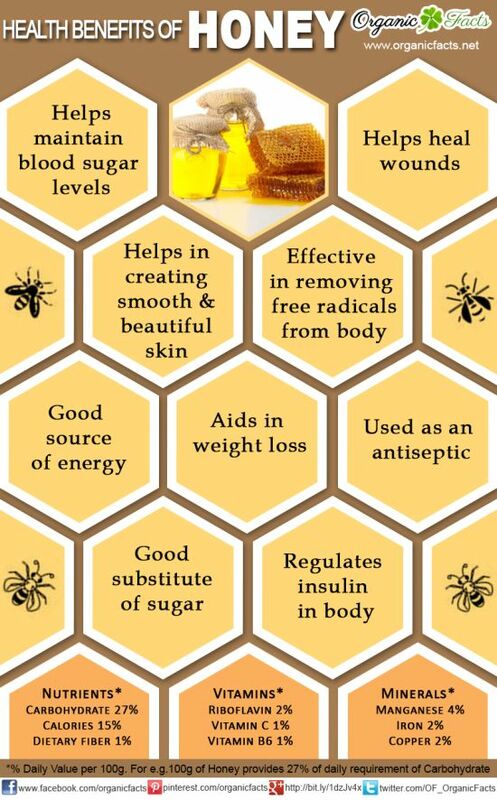 Honey contains a treasure chest of hidden nutritional and medicinal value for centuries. The sweet golden liquid from the beehive is a popular kitchen staple loaded with antibacterial and antifungal properties that has been used since the early days of Egyptian tombs. 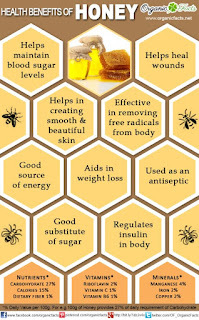 Honey’s scientific super powers contribute to its vastly touted health benefits for the whole body. The healthy natural sweetener offers many nutritional benefits depending on its variety. Raw honey is the unpasteurized version of commonly used honey and only differs in its filtration, which helps extend its shelf life. A tablespoon of raw honey contains 64 calories, is fat-free, cholesterol-free, and sodium-free, says the National Honey Board. Its composition is roughly 80 percent carbohydrates, 18 percent water, and two percent vitamins, minerals, and amino acids. 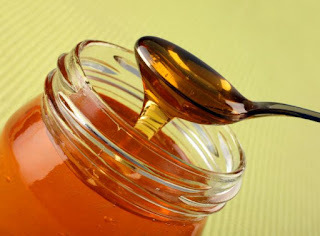 Typically, honey is sweet but can be cruel to infants. Spores of Clostridium botulinum bacteria — found in dirt and dust, which can contaminate honey — may lead to infant botulism and produce a toxin inside the body that can cause muscle weakness and breathing problems. The Mayo Clinic recommends waiting until after 12 months of age to give infants honey; consumption is safe for older adults and kids, since they have a mature digestive system that can handle the spores. Consume honey responsibly and reap the numerous health benefits of this liquid gold. Honey is a sweet liquid made by bees using nectar from flowers. 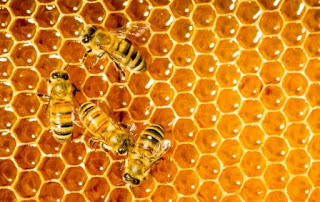 Bees first convert the nectar into honey by a process of regurgitation and evaporation, then store it as a primary food source in wax honeycombs inside the beehive. Honey can then be harvested from the hives for human consumption. Honey is graded by color, with the clear, golden amber honey often at a higher retail price than darker varieties. Honey flavor will vary based on the types of flower from which the nectar was harvested. Both raw and pasteurized forms of honey are available. Raw honey is removed from the hive and bottled directly, and as such will contain trace amounts of yeast, wax and pollen. Consuming local raw honey is believed to help with seasonal allergies due to repeated exposure to the pollen in the area. Pasteurized honey has been heated and processed to remove impurities. Modern science is finding that many of the historical claims that honey can be used in medicine may indeed be true. 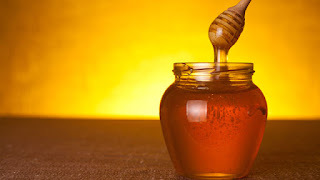 In the Bible (Old Testament), King Solomon said, "My son, eat thou honey, for it is good", and there are a number of reasons why it may be good. Honey has a long medicinal history. The ancient Egyptians not only made offerings of honey to their gods, they also used it as an embalming fluid and a dressing for wounds. On that last point, at least, they were on to something. Today, many people swarm to honey for its antibacterial and anti-inflammatory properties. Holistic practitioners consider it one of nature's best all-around remedies. But outside of the laboratory, claims for honey's healthfulness are unproven -- except in the area of wound care and, to a lesser extent, cough suppression. Here's the truth behind the claims about honey's health benefits -- and an important warning. Honey has been used by countless cultures all around the world over the past 2,500 years. 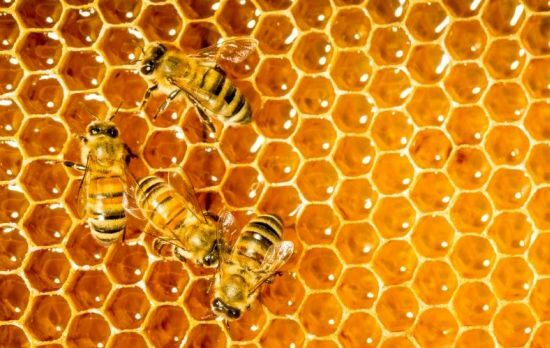 While the numerous health benefits of honey have made it an important element of traditional medicines such as Ayurvedic treatments, scientists are also researching the benefits of honey in relation to modern medicine, particularly in the healing of wounds. It is known as Honig in German, Miele in Italian, Shahad in Hindi, Miel in French and Spanish, Mel in Portuguese, мед in Russian, Honing in Dutch, and μελι in Greek; there is almost no part in the world where honey is not widely used and celebrated as a part of the cultural diet. But what makes honey so popular? Most likely, it is the ease with which it can be consumed. 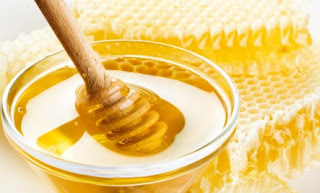 One can eat honey directly, put it on bread like a jam, mix it with juice or any drink instead of sugar, or mix it with warm water, lime juice, cinnamon and other herbs to make a medicine. It is savored by all due to its taste as well as health benefits, making it extremely useful and versatile. We look at the many health benefits of honey, which has been used to cure many ailments for millennia. 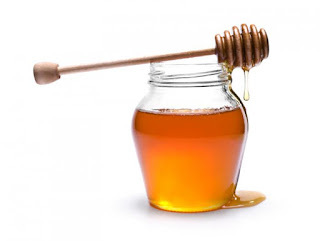 We also look at some uses of honey as a home remedy and in traditional medicine. Discover the health benefits of one of the oldest sweeteners on earth, plus some interesting trivia, some great recipes and a few cautions. Honey is so good we have included it in our list of powerfoods that should be in your kitchen right now. What is Boxing Day and Why is it Called Boxing Day? All the answers below are valid, so maybe it is one, or even all of them. Boxing Day was traditionally a day off for servants and the day when they received a ‘Christmas Box’ from the master. The servants would also go home on Boxing Day to give ‘Christmas Boxes’ to their families. A box to collect money for the poor traditionally and placed in Churches on Christmas day and opened the next day - Boxing Day. Great sailing ships when setting sail would have a sealed box containing money on board for good luck. Were the voyage a success, the box was given to a priest, opened at Christmas and the contents given to the poor. Boxing Day is a holiday traditionally celebrated the day following Christmas Day, when servants and tradesmen would receive gifts, known as a "Christmas box", from their bosses or employers, in the United Kingdom, Barbados, Canada, Hong Kong, Australia, Bermuda, New Zealand, Kenya, South Africa, Guyana, Trinidad and Tobago, Jamaica and other former British colonies. Today, Boxing Day is the bank holiday that generally takes place on 26 December. In South Africa, Boxing Day was renamed Day of Goodwill in 1994. In the Roman Catholic Church's liturgical calendar, the day is dedicated to St. Stephen, so is known as St. Stephen's Day to Catholics, and to the population generally in Italy, Ireland, Finland, and Alsace and Moselle in France. It is also known as both St. Stephen's Day and the Day of the Wren or Wren's Day in Ireland. In some European countries, most notably Germany, Poland, Belgium, the Netherlands and those in Scandinavia, 26 December is celebrated as the Second Christmas Day. Gaze up into the sky and you’ll see something rare. And, no, it won’t be Santa. He and his reindeers will have already zoomed across the horizon. 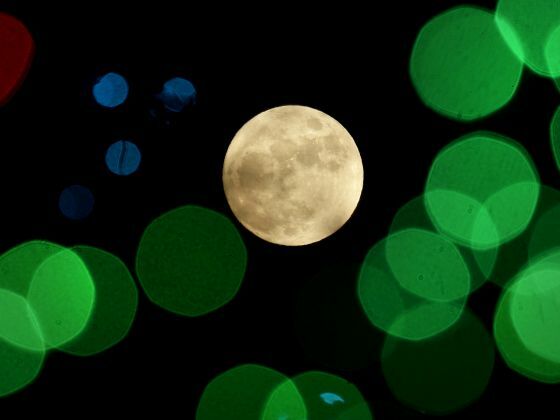 On Christmas Day, there will be a full moon, the first since 1977. It will reach its peak at 6.11am EST (7pm Singapore time). This full moon, the last one for 2015, is called a Full Cold Moon because it happens during the start of winter. Though “cold” is relative these days. On the balmy US East Coast, some people will be tempted to celebrate the holiday in shorts and flip flops, more like Hawaiians. 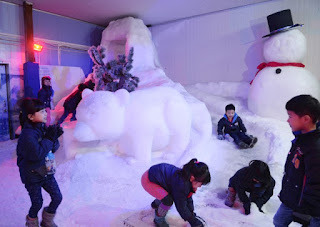 Singapore's first permanent snow centre, Snow City, is known as a fun attraction for those who want to experience winter here. However, with the introduction of new features and activities after a recent four-month revamp - its first since opening in 2000 - the attraction at Science Centre Singapore hopes to educate visitors about the very serious threat of climate change as well. The 1,500 sq m Snow City, which simulates a sub-freezing climate, will offer visitors the full Arctic experience, including snowfall, from Dec 29. The rest of its new features are already open to the public. 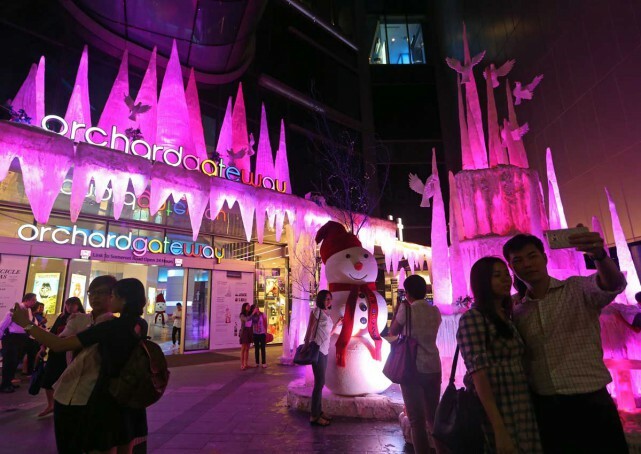 And the best-dressed this Christmas are..
Orchardgateway won the Voters' Choice Award, bagging close to 28 per cent (4,904) of the 17,551 shopper votes cast, for its "An Icicle Xmas" theme featuring glittering icicles hanging from the mall's facade. 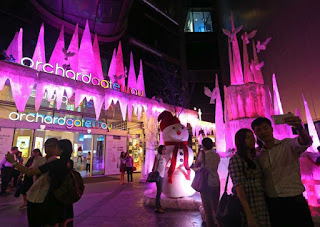 Ion Orchard was the judges' favourite with an outdoor space transformed into a Christmas wonderland and an outdoor Swarovski Christmas tree adorned with more than 28,000 crystals. And the holdout is finally over. Maybe. According to Billboard sources, The Beatles have agreed to stream their extensive and beloved catalog before the year comes to an end. Reports have hinted that the drop will occur on Christmas Eve with a strong inclination that fans everywhere will be able to stream “Hey Jude” that day, but no source has been able to confirm the news nor determine what platform some of rock’s most cherished songs will drop on. 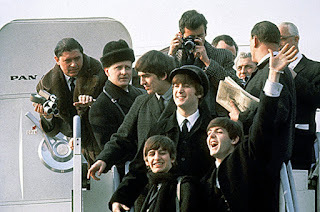 The Beatles have had a long history of holding out their music from music trends, denying the making of band documentaries and even refusing to remaster their albums. Billboard says word was in 2014 that Apple Records was considering a six-month exclusive with one streaming music service, but that obviously hasn’t happened yet. 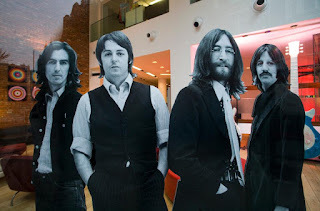 Then in January, Rob Wells, head of Universal Music Group’s digital business at the time and now exec at Crowdmix, continued talks to get The Beatles onto streaming with the report saying a deal was put together in mid-September. Apple Music’s initial free trial period for early adopters ended around the same time. Apple entered the streaming music business itself for the first time in 2014 with its acquisition of Beats Music. Then in June it unveiled its predecessor, Apple Music, which launched at the end of that month. While it’s possible Spotify or some other streaming competitor could be set to exclusively carry The Beatles next week, it wouldn’t be unprecedented for Apple to bring The Beatles to a new medium. The Beatles' music is reportedly set to finally be made available on online streaming services just in time for Christmas. 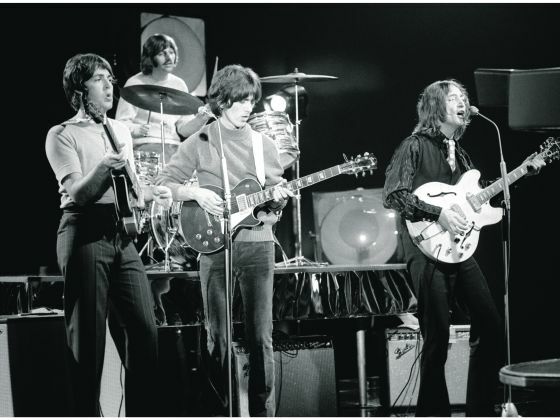 The iconic British rock group only entered the digital age in 2010, when label bosses at EMI, the company which owns the recordings, reached a deal with tech experts at Apple to have the Fab Four's songs appear on its downloading software iTunes. 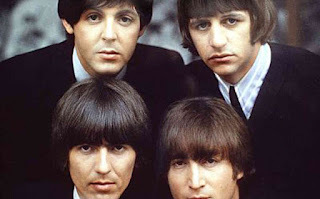 Now sources tell Billboard.com the first Beatles tune to stream online will be Hey Jude, which is rumoured to be hitting music platforms like Spotify on Christmas Eve. Beatles fans may be receiving an unexpected gift this Christmas Eve, as Billboard sources say that the Fab Four will finally arrive on streaming services next Thursday. Though the exact timing has not yet been confirmed, Billboard notes that there’s “a strong indication” that December 24th will go down as the dawn of Beatlemania on popular streaming services such as Spotify, Tidal, and Apple Music. The deal allegedly dates back to this past January, when former Universal Music Group digital executive Rob Wells reopened discussions that had previously stalled. The papers were reportedly signed in mid-September, clearing the way for a very White Album Christmas. It’s not yet known if the deal will apply to all streaming services or only a select few, though Billboard’s sources “strongly suggest” the former. Due to different licensing agreements, The Beatles are already available on web radio services such as Pandora. But this reported deal marks the first time the massively popular band will be available for streaming on demand. The Beatles might be hitting Spotify, Apple Music, or another streaming music service, just in time for Christmas, reports Billboard. Billboard's report is frustratingly vague. ut it says that "there's a strong indication" that the music of the Fab Four will be available on one or all of the major streaming services by Christmas Eve, or Thursday, December 24th. That means it could come to Spotify, Apple Music, or smaller upstarts like Rhapsody, Tidal, or Deezer. The Beatles may be finally making the streaming plunge next week. Billboard reports that the iconic rock and roll group is set to bring its music to streaming services, with a “strong indication” that their music will arrive on Christmas Eve. The Fab Four’s music has traditionally been one of the last holdouts in each successive jump in music listening technology. They didn’t hit iTunes until six years after Apple started selling digital music, for example. When they did finally make that jump, they sold over two million tracks in the first week. There have long been reports that the band’s music would hit streaming services, with initial reports in 2014 claiming that an exclusive deal was being worked out. That plan never reached the final stages but the site reports that a deal was signed in mid-September. The Beatles, the most beloved rock band in history -- and one of the most persistent holdouts in the digital age of music listening -- are set to finally arrive on streaming services, according to Billboard sources with knowledge of the negotiations. Merry Christmas From The Beatles: Fab Four Set To Finally Start Streaming Their Music? The Beatles may give their fans (and streaming services) the greatest Christmas present of all this year: the ability to stream their music. 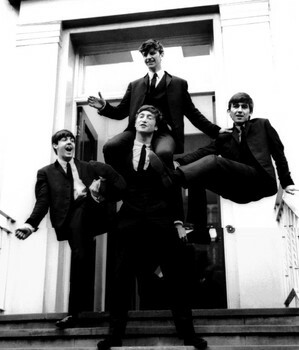 It looks like the Fab Four’s tunes will arrive on Christmas Eve, according to both Billboard and Hits Daily Double. The only question is where? 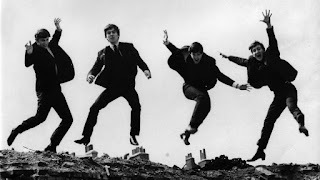 While Apple AAPL -2.86% had allegedly tried to sew the Beatles up for an exclusive six-month streaming window, it looks like instead of going with one streaming source, the Beatles may go with many, including Apple Music, Spotify and Tidal. Moreover, it’s rumored that all the studio albums will come online next week. The Beatles will fulfill a Christmas wish on many of their fans' lists and make their music more widely available on streaming services maybe as soon as Dec. 24, according to a published report on Dec. 18. Specific details of the move, which has been discussed over the past year, weren't listed by Billboard, which first reported the story. But representatives from both Spotify and Rhapsody streaming services issued no comment statements when contacted by the magazine, and Billboard also said it did not get replies for comments from streaming services Deezer, Tidal and Apple Music. There also was no comment from Universal Music Group, which covers the Beatles' Capitol Records label. The Beatles are already on one streaming service, Pandora, Billboard noted. The group has been notoriously conservative in responding to fan requests and accepting new technology. 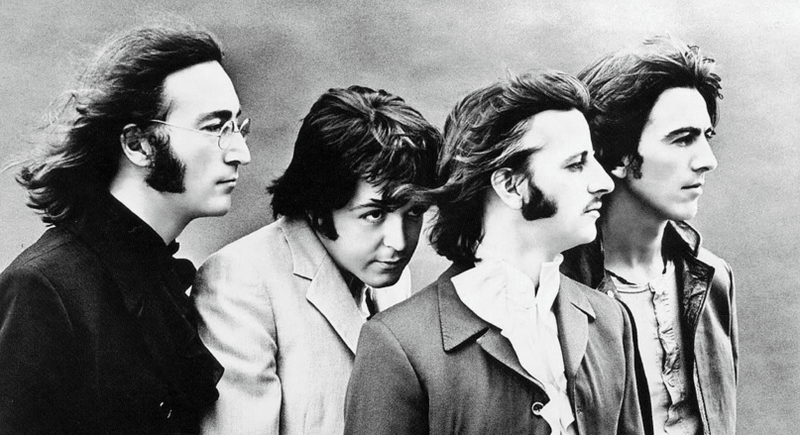 It took the Beatles a long time to put their music on iTunes. It finally happened in November, 2010 -- more than seven years after the iTunes music store debuted -- when the group's 13 remastered studio albums, the two-volume "Past Masters" compilation and the "Red" and "Blue" collections, plus a digital box set of their albums that also featured the Washington Coliseum concert film debuted on iTunes for legal digital downloads. And this year, after many years of fan requests, the Beatles finally released “1” and “1+” collections with a total of 50 of their remastered videos. The “1+” release also came with a remastered and remixed “1” CD. 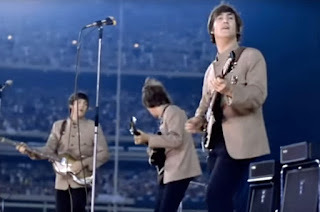 The group, however, still hasn't officially released its 1970 film “Let It Be” on DVD (through rumors about its release continue to float) or put out its “Live at the Hollywood Bowl” album on CD. Bootleggers, however, have been made both of these products available, if not legally. The Beatles are coming to town on Christmas Eve, via streaming services, at least. Billboard reports that one of rock music's most important bands ever will finally hit streaming platforms, and though it's unclear which ones will host Beatles' music, it seems the most of them will have access to the band's tracks. 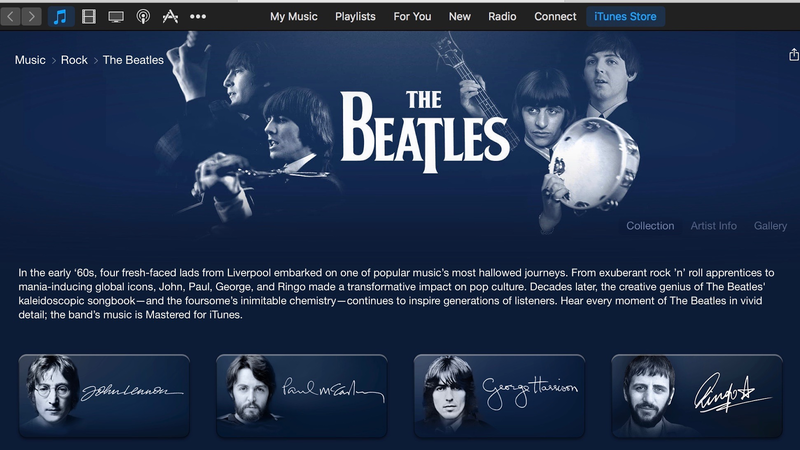 The Beatles are already on Pandora, but not on any on-demand services. The announcement has been shrouded in mystery. Services like Spotify, Deezer, Tidal, Apple and Rhapsody have not commented on whether or not they will have the music. THE BEATLES’ music is reportedly set to finally be made available on online streaming services just in time for Christmas. The iconic British rock group only entered the digital age in 2010, when label bosses at EMI, the company which owns the recordings, reached a deal with tech experts at Apple to have the Fab Four’s songs appear on its downloading software iTunes. 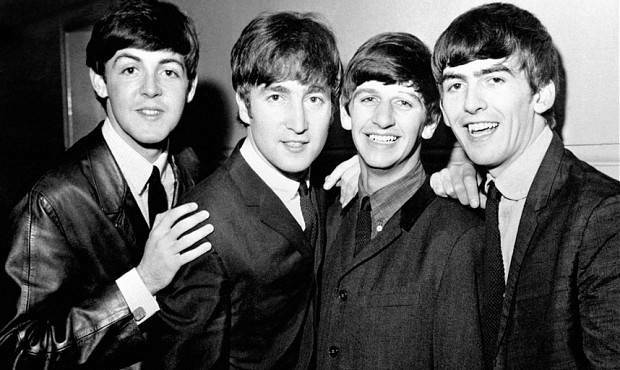 Now sources tell Billboard.com the first Beatles tune to stream online will be “Hey Jude,” which is rumored to be hitting music platforms like Spotify on Christmas Eve. Their back catalogue of studio albums is expected to follow soon afterwards. There is a "strong indication" that the Beatles — who have held out from music streaming altogether — will come to a major service on Christmas Eve. That's according to a Friday report in Billboard, which cites sources with knowledge of the negotiations that it did not identify. 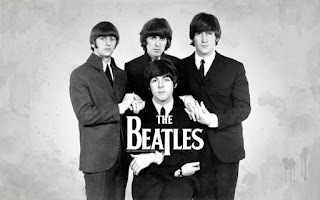 The music magazine says it has received conflicting reports on exactly when Beatles music will be available for streaming, but that its sources "strongly suggest" most of the band's records will appear next week. The Beatles have been sluggish to adapt their catalog to digital, first coming to iTunes in 2011 and staying off streaming entirely. To the excitement of Beatles fanatics worldwide, the famed British rock group is rumoured to finally begin releasing their music on streaming services. 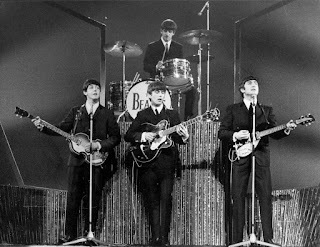 Billboard reported that there is conflicting information on the exact date in which Beatles originals will grace the playlists of music streamers, but discussions are strongly hinting at a Dec 24 arrival date. It’s also unclear which streaming sites will secure deals to stream the Fab Four’s iconic tracks. Earlier reports linked Universal Music Group’s Apple Records label to some sort of exclusive streaming deal, but Billboard’s sources suggest that it’s likely “most, if not all” streaming sites will have access to Beatles’ comprehensive portfolio on the reported Dec 24 release date. What do TSL, BBC and MOM have in common?